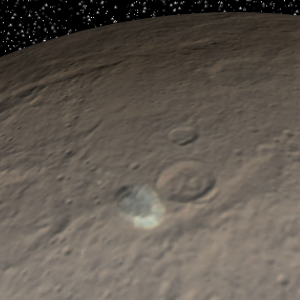 Notes The rocky surface of Ceres is heavily cratered, with a small number of distinctive bright spots standing out against the darker surface rocks. 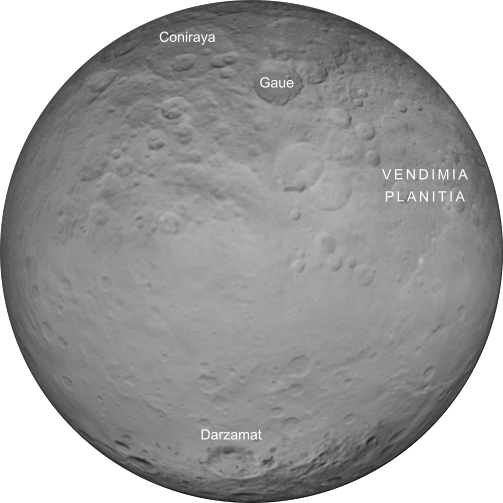 The largest of the asteroids by far, Ceres' diameter is nonetheless less than 1,000 km, about a third of the diameter of Pluto. 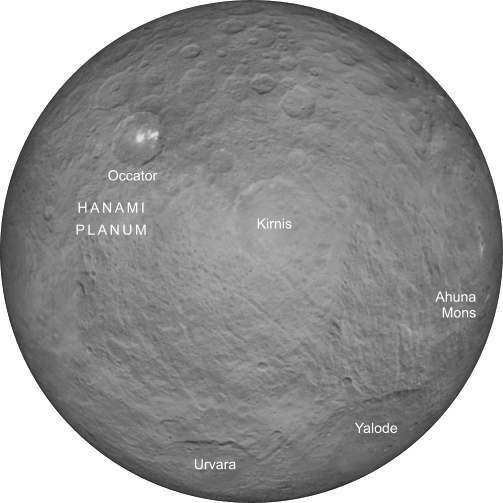 The relatively bright rise shown in this view of Ceres is Ahuna Mons, a cryovolcano rising nearly five kilometres above the surrounding terrain. This is the only such feature to be found on the asteroid.